This is a story of obsession, the forbidden, prohibition and even executions – a trade war that ended with the ultimate triumph of, believe it or not, colorfast patterns of Indienne Textiles. Some called it a time of madness. 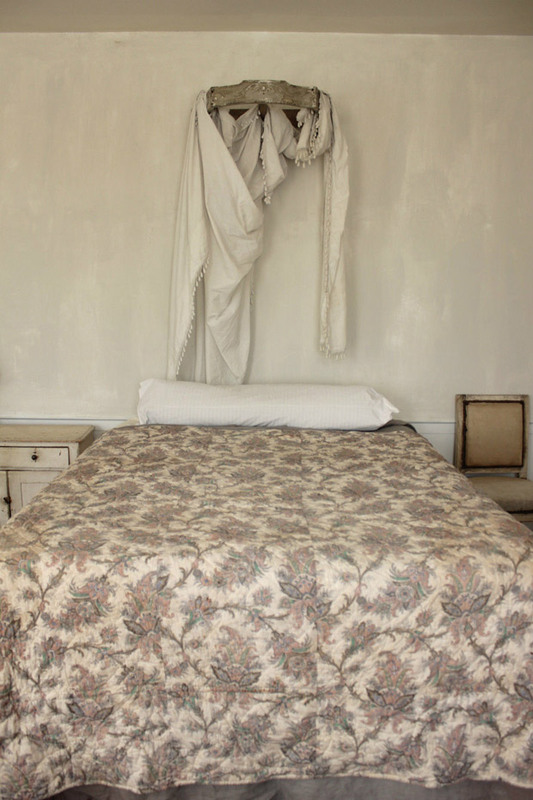 The drama was caused by a love affair with painted cotton cloth. As you might suspect from these signs of desperation, this wasn’t just any painted cloth. 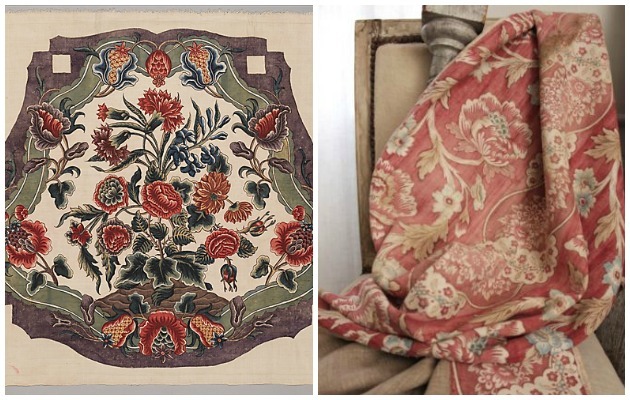 It was the “Indienne” fabric from the shores of India, imported into France many centuries ago. Historical writer Jules Michelet described the setting well, for those of us who might have a hard time understanding this craziness. Imagine being a woman in the 1600s with a black dress that you don’t want to wash for a decade, for fear of it falling into faded tatters. Then imagine a white cotton cloth with vivid colors of red and blue – with the flourishes of a floral pattern – becoming affordable for you! 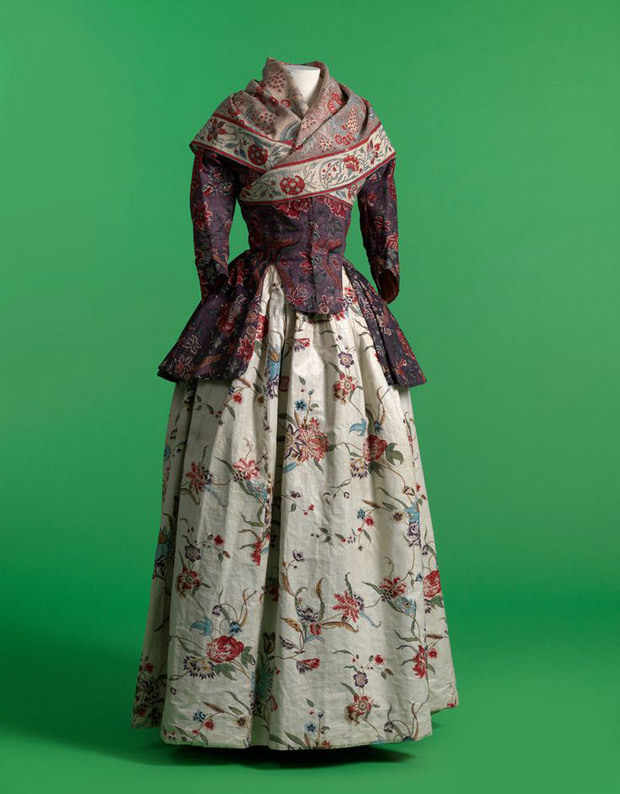 Even if your husband is a poor laborer, you can have dresses covered in flowers. And not only is the cloth beautiful, you can wash it and the colors won’t fade! 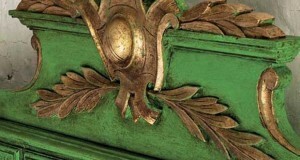 And not only does the cloth not fall apart, it becomes softer and more lustrous. You look beautiful. You feel beautiful. 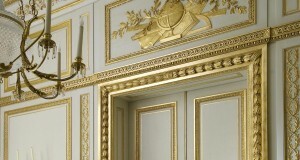 Once given the chance to wear and decorate with such finery, who would want to give it up? 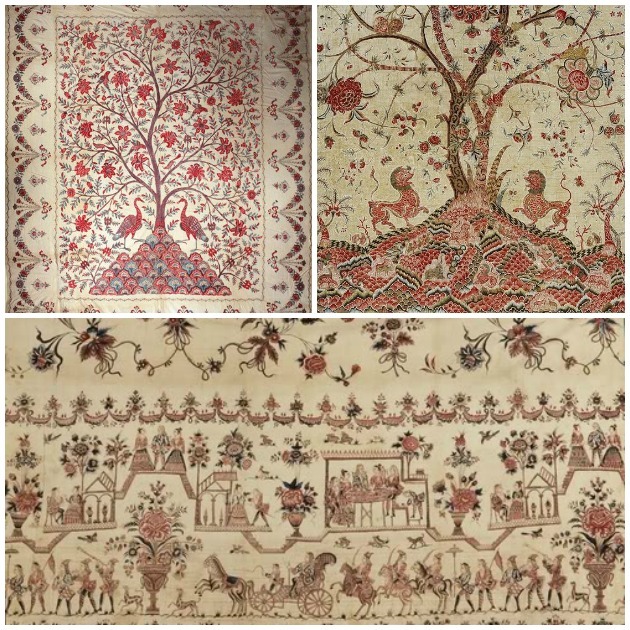 Indienne – known then as “painted cloth” – became a sensation among all classes of French society in the 1600s. The French set up their version of the East India Company and used this enterprise to import Indienne. 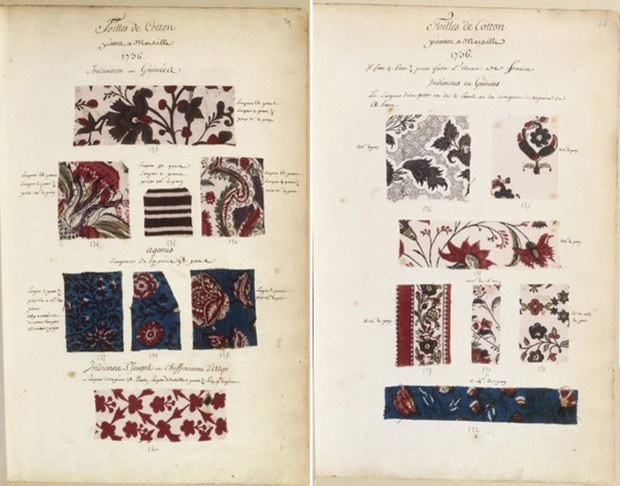 Boatloads of the cloth arrived in France via the ports of Marseille, and then ateliers sewed the cloth into dresses, men’s robes, undergarments, jackets, bonnets, pillow covers and curtains for beds. At the time, the methods used in India to make Indienne were unknown to European manufacturers. How could the colors be so bright? Why do they not fade when washed? What is this fine cotton material? The French East India Company sent investigators to India to uncover the secrets. 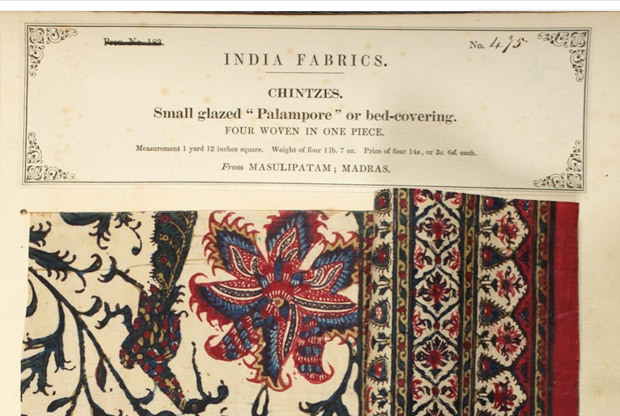 One thing the European textile adventurers sought was why India’s red dyes were so vivid and so tenacious that they didn’t let go of the fabric in the wash. And why, in Pondicherry in South India, was blue so vibrant? They had to ultimately conclude, that all of Europe’s skilled chemists couldn’t help them manufacture colors like these back in the 1600s and 1700s. Nature seemed to be the only secret behind the fast colors and nothing else could be done about it. They wrote about how certain uncommon waters in India helped the pigments become colorfast. They described searching for and tasting the elusive “bitter water” that a traveler named Coeurdoux also wrote about as having a “disgusting taste.” And perhaps it was a good thing this bitter water was not consumable by man, as the special qualities of this water mixed with paint stained the coveted Indienne fabrics. 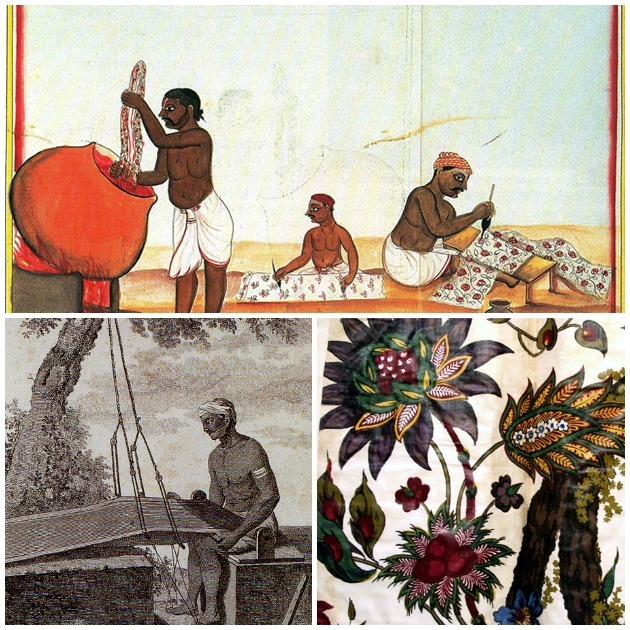 Pondicherry specialized in blue dyeing, as documented by a man named Bédier in 1825. The more they were washed, the more beautiful these blue fabrics from Pondicherry became, and this was amazing to France’s textile enthusiasts. Nowhere else in India could such a beautiful shade of blue be made, and this was attributed to the city’s water. 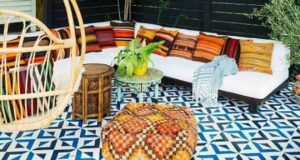 In the early 1800s, a chemist identified that aluminum oxide in the water gave a scientific explanation to the Indienne fabric’s fast and vivid colors. Travelers wrote of finding wool growing wild on trees, wool that was much finer than wool from sheep. This “wool” was cotton growing in India. The Europeans studied the finesse with which Indian artisans used their basic looms and tools to transform fiber into sheets of drapery cloths. 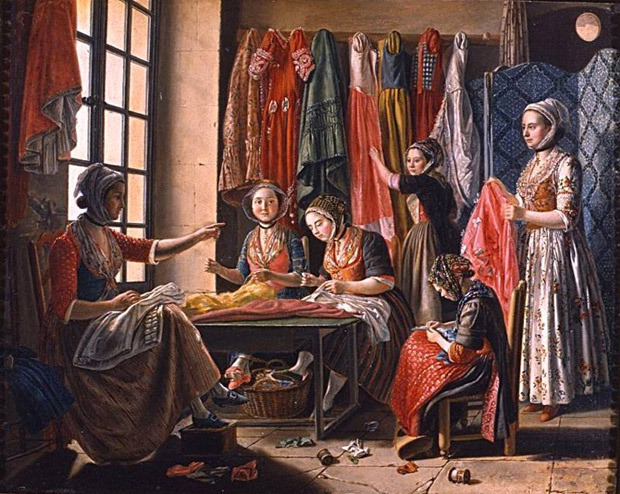 French traveler Coeurdoux documented the Indian manufacturing process. He described how cotton cloth was bathed in tannin from dried fruit mixed with buffalo milk, to prepare the cloth as a canvas for painting. Buffalo milk was preferred over cow’s milk because it had more fat. The canvas was then folded and beaten to give it a smooth surface that was more receptive to paint. The buffalo milk and the tannins helped give the fabric a fine lacquer finish after this thrashing. The next step was creating the patterns. 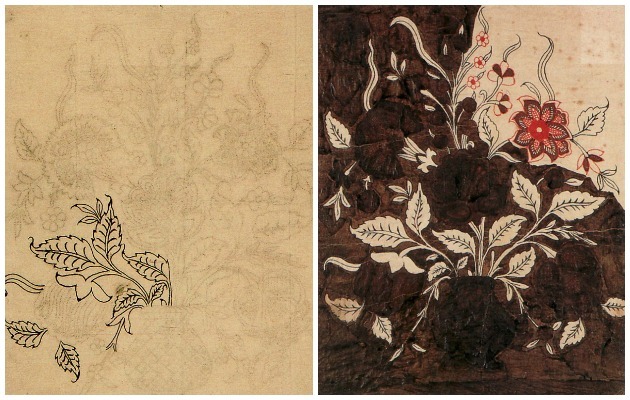 With the canvas stretched out on the floor, a silhouette of the pattern was focused on the cotton, then drawn with a brush either freehand or with a stencil. They used carbon black or red paint. Coeurdoux observed how the black color was made with dry banana leaves and coconut wine vinegar, iron acetate and tannin. When they wanted to use yellow, they would place it last because it was the weakest color made with tannin or yellow pigments from flowers. Traditional Indian turmeric and saffron were also used to make some of these colors. When they painted with indigo, they used wax resist processes. French travelers rhapsodized about finding “a kind of canvas that is so fine that when it is on the body, we see all the flesh as if it were bare.” The European merchants were not allowed to transport the finest of those fabrics, because they were reserved for the Great Mogul and the principals of his Court, for the Sultans and the women of the Great Lords. Back in Europe, royalty and high society were becoming more and more intoxicated with Indienne produced for export. 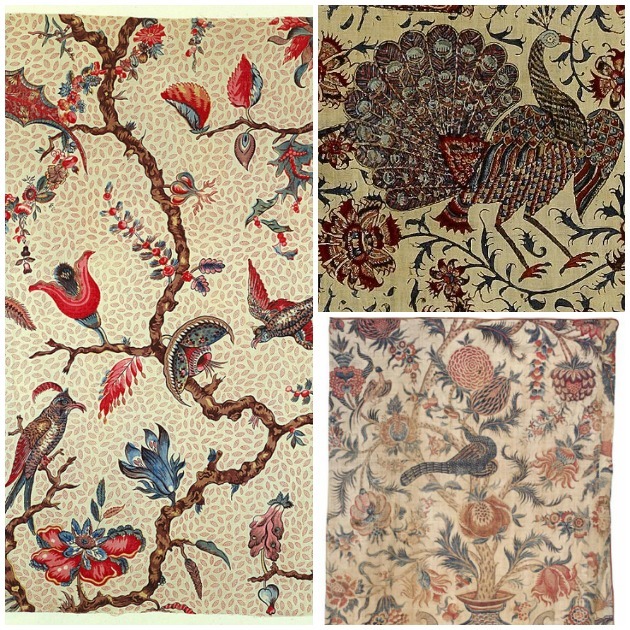 The Indians had learned the European tastes, and artisans evolved their patterns to meet the European market demands. 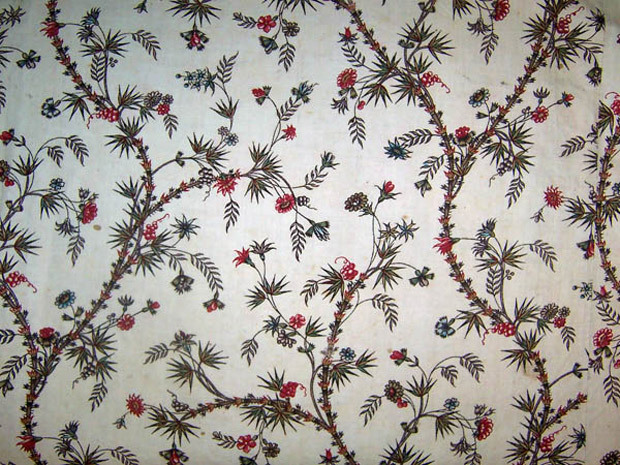 They made friezes and borders and “Persians.” The Tree of Life motif was very popular. The trees often sprung from a mound where symmetrical animals also roamed around the Tree of Life. The branches of the trees were undulating and grew to fill the canvas. 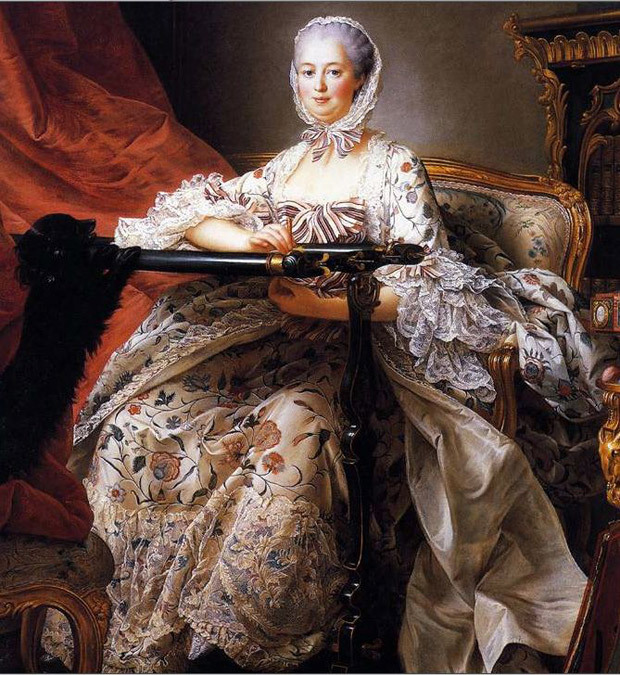 Unfortunately, this affair with an exotic painted cloth had disastrous results for some. With the massive import of cotton Indienne, domestic manufacturing of woolens, flax and hemp suffered. Entire long-established French corporations collapsed. Many people lost jobs. It got so bad, people appealed to the French government to stop the flow of Indienne fabrics arriving at France’s shipping ports. In 1686 their wish was granted. Indienne was banned by a prohibition. Contraband fabric would be burned. And, most gravely, violators could be hung. People wrote of piles of 800 dresses being seized and burned in the streets. But you know human nature. When humans have a want, they will find a way. The prohibition wasn’t effective as people just worked around the rules. Indienne owned by one Marquise was confiscated and destroyed, but he was said to show up only a few days later wearing a robe from more of the same material! To try to stamp out Indienne once and for all, the government expanded prohibition to ban not just the sale but also the wearing of the material. Violators and people who protected them could be sent to the galleys. But this rigorous rule just fueled people’s passion. How could such cheerful color be banned forever? It couldn’t be. 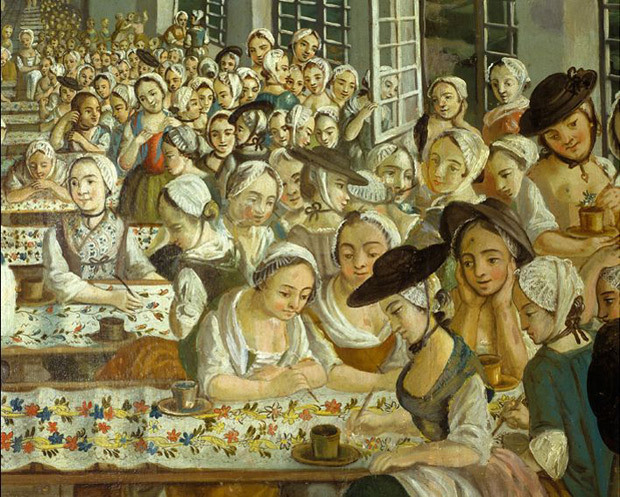 Prohibition was lifted on November 9, 1759 and French factories promptly ramped up legal production. One such company was Oberkampf, started by a young man named Christophe-Philippe Oberkampf who had the right background and was in the right place at the right time. He had been born into a German family of cloth dyers and was working in Paris as a colorist when the prohibition ended. 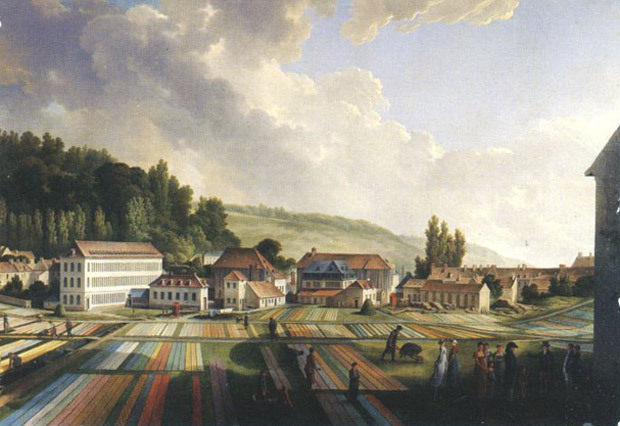 He established his factory in Jouy-en-Josas at a strategic location. It was near the waters of a river and just down the road from the royal court of Versailles – who were obviously important customers! 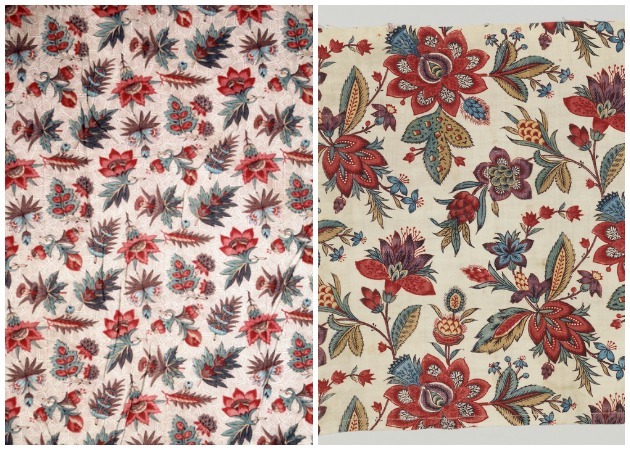 The company focused on producing the popular floral prints once produced in India, and grew into a large and successful factory. By now, it was the dawn of the Industrial Revolution. The domestic production of Indienne was mechanized. The Europeans certainly did not import searching for wells of bitter waters, weaving with looms attached to trees, soaking cotton in buffalo milk and stretching canvas with bamboo poles on the ground. Instead machinery was engineered, synthetic dyes were created and patterns were printed with rollers as well as wooden printing blocks. 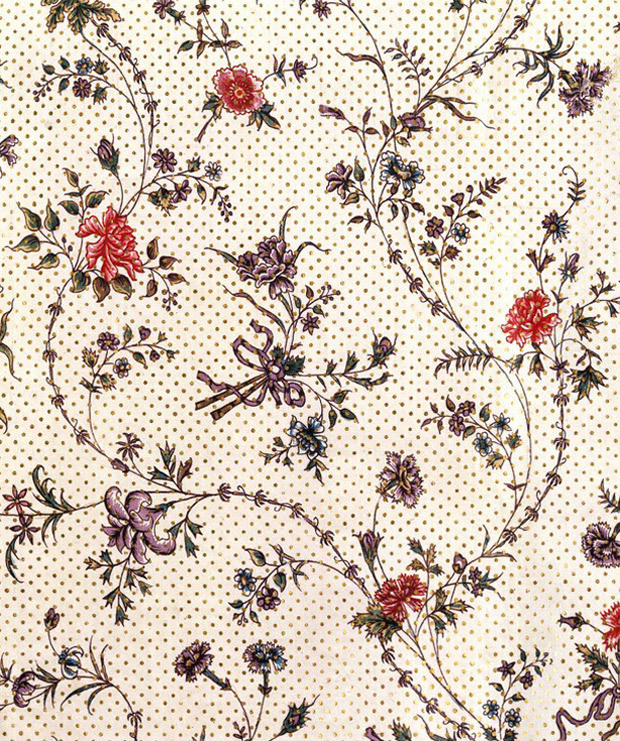 This allowed the Europeans to produce affordable fabric. Today, you can purchase modern versions of Indienne from companies like Souleiado and Olivades, both of which sell worldwide. 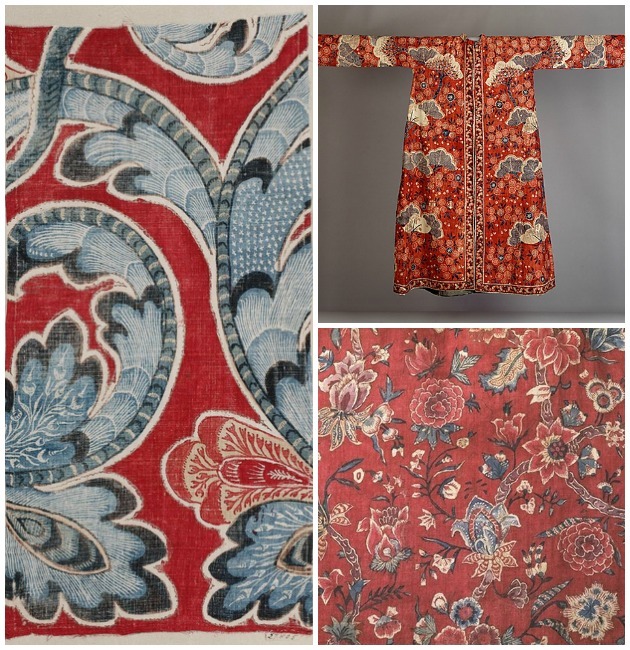 If you found this tale of textiles and trade wars of history interesting, The Metropolitan Museum of Art has similar stories online from its exhibition, Interwoven Globe: The Worldwide Textile Trade, 1500-1800. Be sure to share this post on Facebook if you think others would be interested in this story! Magnificent article, I’m going to invest more time researchingthis subject matter.